A Matte Top Coat finish you can use to seal your chalk-acrylic paint project. 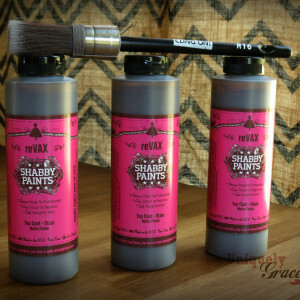 All Shabby Paints products are environmentally Friendly, Made in the USA, NON-Toxic, and contain NO VOC’s. The Coverage rate for Shabby Chalk-Acrylic Paint is 600 – 760 sq. ft. per gallon. A Satin Top Coat finish you can use to seal your chalk-acrylic paint project. Like nothing else on the market Varnish gives you a nice satin finish (shinier then Vax) without fumes, buffing, or the need to reapply. Varnish dries to a satin finish with all the depth and beauty you are looking for minus the buffing, toxic fumes, need to reapply and damage to our environment. It protects your piece against heat, scratches, ultraviolet rays and harmful pollutants. Looking for protection and depth, or maybe some shimmer? Then you are looking for reVAX. It comes in Hazelnut, Black, White, and Pearl. Be sure to check out how to easily stain and protect in one step with our Hazelnut or Black reVAX. The combination of modern technology and the highest quality all American ingredients has made our products the ultimate go to brand for affordable furniture finishing. The Decorators Dream! Achieve any style finish, don’t be fooled by the name. Shabby is just one of the many styles that can be achieved using our line. 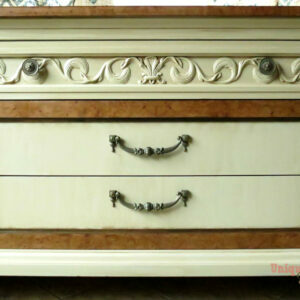 Use Shabby Paints to create any style from Modern to Vintage. You dream it, you can do it with Shabby Paints! Give your customers and your home a piece of furniture transformed with something they will love for its durable beauty and its safety. Other paints that are low VOC hide the fact that means they are still toxic, this means toxins will leach into not only your home but your client’s homes. ric, canvas, and SO much more. Use one color or layer to easily enhance any surface. Use it over large surfaces to really have a “POP” or highlight edges, deep crevices, or bas relief (those cool raised parts). Use your fingers without concern because it’s totally safe!